Item # 317613 Stash Points: 3,995 (?) This is the number of points you get in The Zumiez Stash for purchasing this item. Stash points are redeemable for exclusive rewards only available to Zumiez Stash members. To redeem your points check out the rewards catalog on thestash.zumiez.com. 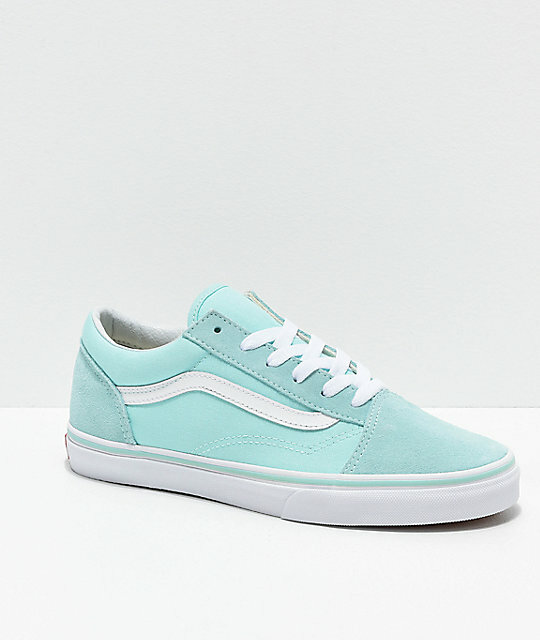 Give your daily fashion an upgrade in the fresh color of the Vans Old Skool Blue Tint Skate Shoes. 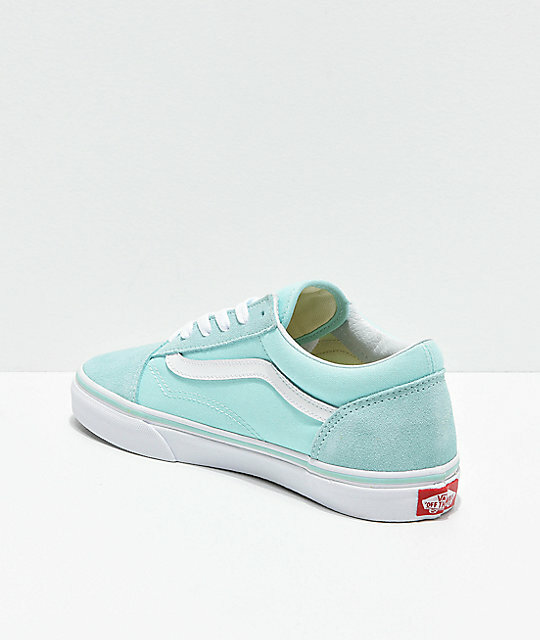 All teal blue throughout the upper, these shoes feature contrasting white logo stripes at the side walls for classic style. 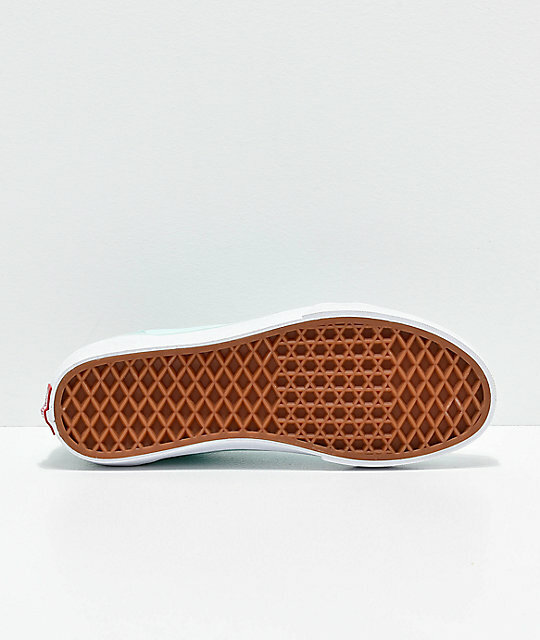 Vans classic cushioned footbed adds all-day comfort and the famous waffle tread maintains grip on all-kinds of surfaces. 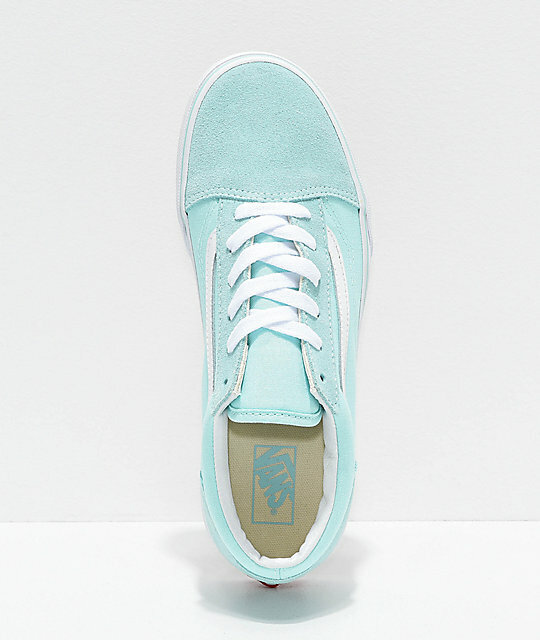 Old Skool Blue Tint Skate Shoes from Vans. Mint/light teal canvas construction throughout.